An investigation into an inquiry. 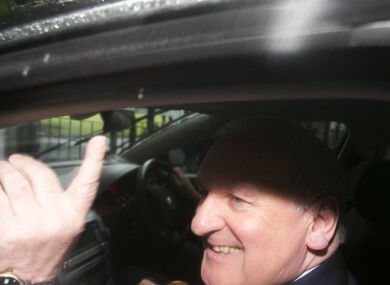 OVER THE PAST couple of weeks, you’ve probably heard a lot about the banking inquiry – a familiar Bertie, a defiant Brian and a host of chastising politicians. As well as the now run-of-the-mill apologies and some mildly interesting revelations, there have also been quiet rumblings about possible wrongdoing within the investigation. A whistleblower came forward to express disquiet about how things were being done around the halls of the Oireachtas. They went to the effort of putting an 82-page document of allegations together on 10 July and called it a Report on the Operation of the Investigation Team. According to the Acting Clerk of the Dáil, this person is a member of staff of the Investigation Team. The Investigation Team comprises three senior investigators and 17 others plucked from various backgrounds and expertise in banking, financial regulation and public service policy, as well as some civil servants seconded from relevant departments to help the committee of politicians (also of varying backgrounds and levels of expertise). Former employers of the three senior and lead investigators includes Nama, Helaba Dublin Landesbank, ACC Bank, Bank of Ireland Corporate Services, Ogier, RSA and the Irish Payment Services Organisation. Today, the terms of reference for the examination of the inquiry’s Investigation Team were published. A senior counsel, Senan Allen, has been appointed. He will investigate the men and women tasked with investigating how the banking crisis of the mid to late 2000s crippled the Irish economy – under the (not so watchful) eye of the powers that were. Yes, those men – and few women – who are both former and present colleagues, often friends and, when it’s fun, adversaries of the current Oireachtas committee crop. We’ll pause here so you can audibly gasp, ‘Only in Ireland’. The whistleblower’s document has been described as a “detailed report” into how the Investigation Team of the Joint Committee of Inquiry into the Banking Crisis operates. It contains a number of allegations that Allen has now been asked to review. That the Banking Inquiry was provided with false information. That there were poor practices and procedures around redacting and withholding certain materials and documents. That investigators helped witnesses to get favourable treatment when appearing before the inquiry. That there was a failure of procedures for dealing with and managing conflicts of interest. That information and/or documents were leaked to a journalist. According to reports, the special treatment was afforded to the Central Bank and Department of Finance. Allen has been asked to deliver a report into the matter as soon as possible. In the wings of this drama, the whistleblower has since claimed that their salary was withheld since the accusations were made public. However, this has been denied by the Houses of the Oireachtas which stated that no employee was taken off the payroll. Email “What happens when there has to be an investigation into an inquiry? ”. Feedback on “What happens when there has to be an investigation into an inquiry? ”.